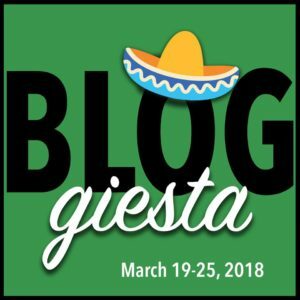 As one of the mini-challenges for the Spring 2018 Bloggiesta, Berls suggested organizing Tags, Categories and Labels on your blog. It’s a Mystery is my newest blog, so I thought it was somewhat tidy. After taking a look, however, it was obvious the categories need some work. Two categories stand out right away that could be removed: Revision and Wrap-up Poll. There’s only one post under revision and it clearly belongs in the writing category. What was I thinking that day? The Wrap-up polls are part of the Bestseller Code reading challenge that didn’t really work out, so they are no longer important enough to warrant a category. Also, Berls recommends you shouldn’t have any posts in the Uncategorized category and I have several. Oops. What kind of category is Fiction Review? It should be broken down by genre instead. Mystery, suspense, and romantic suspense categories are not clear cut. There is a lot of overlap between those genres. I’ll have to check how other people handle them. Any suggestions? The Bestseller Code category books should probably also be categorized by genre, which means adding historical fiction, romance, and literary fiction categories at least. Wow, this is more work than I thought it would be, but I can see how it will improve a visitor’s experience to have the categories cleaned up and accurate. Check out my sidebar for the results of organizing my categories for the Spring Bloggiesta challenge. Tags and Categories still confused me and I know I have way too many of both on my blog. Kuddoes to you for tackling a clean up. Looks as though you did a good job achieving your mini-challenge goal this week. I’m still part way with that task having never tackled this area of blog housekeeping before. It’s well worth the effort though I’m sure. It seems something that might still need tweaking every now and then more regularly at my blog(s). I’ll never leave this task as long as three years again! Looks like you were a success! I really appreciated this challenge, too, and liked how it made my blog feel neater and cleaner.